Apostrophe Catastrophes: Apostrophe Catastrophe, Hear Me Roar! The spacing and lack of hyphens also made me wonder what "complete the tell" means. The all capital letters also add to the confusion. 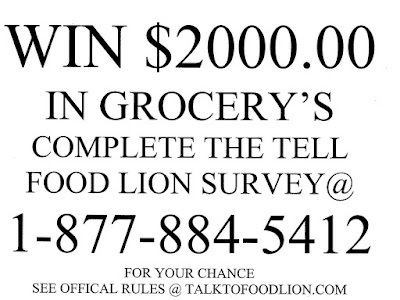 I think it's: Complete the "Tell Food Lion" survey. Yuck. Also, the last line uses the @ symbol just before a URL. 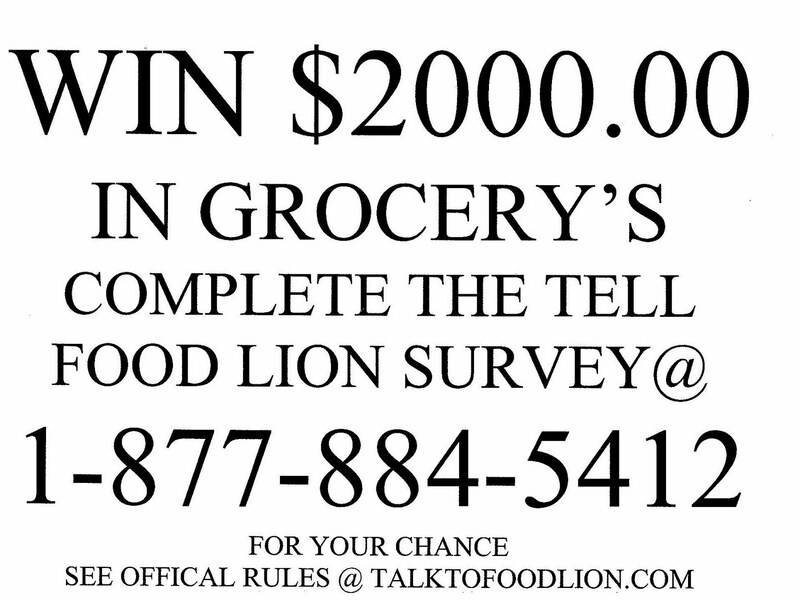 I wonder how many people tried sending an e-mail to SeeOfficialRules@TalkToFoodLion.com? Can't they just spell out "at" when it's not an e-mail address?